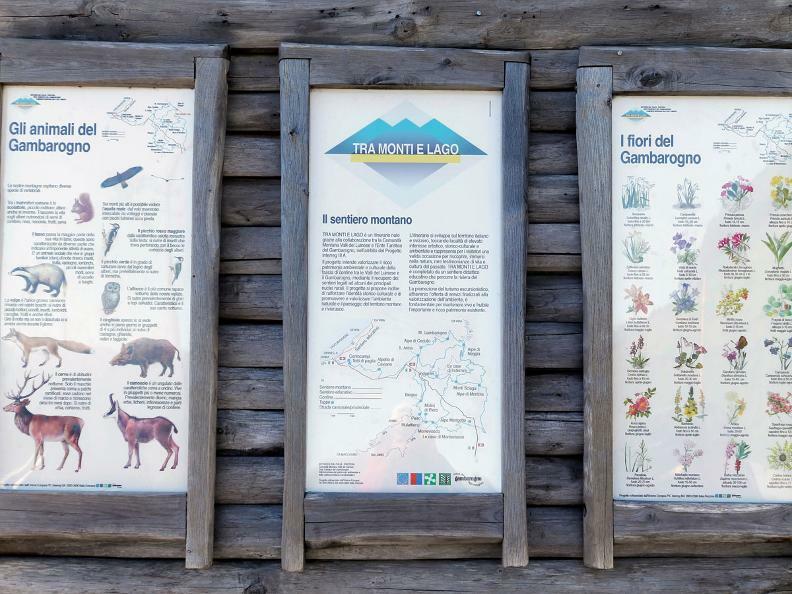 A challenging walk through the meadows and high peaks of the Gambarogno. After Vira, the first landmark is the Monti di Vira, an attractive series of neatly tended meadows alternating with the steep, dense mountain forests. 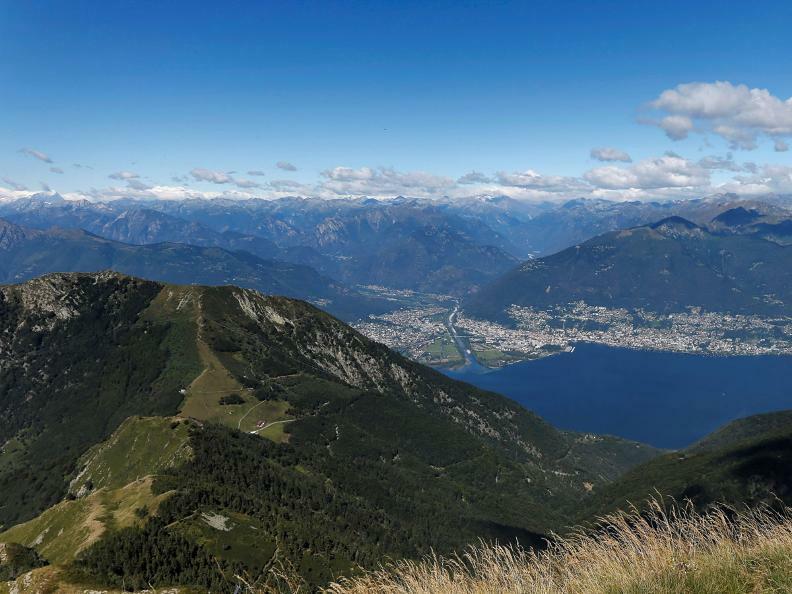 Continue by climbing the Poncino della Croce (1,471m) with its views of Lake Maggiore, the Maggia delta, Locarno and the Piano di Magadino. 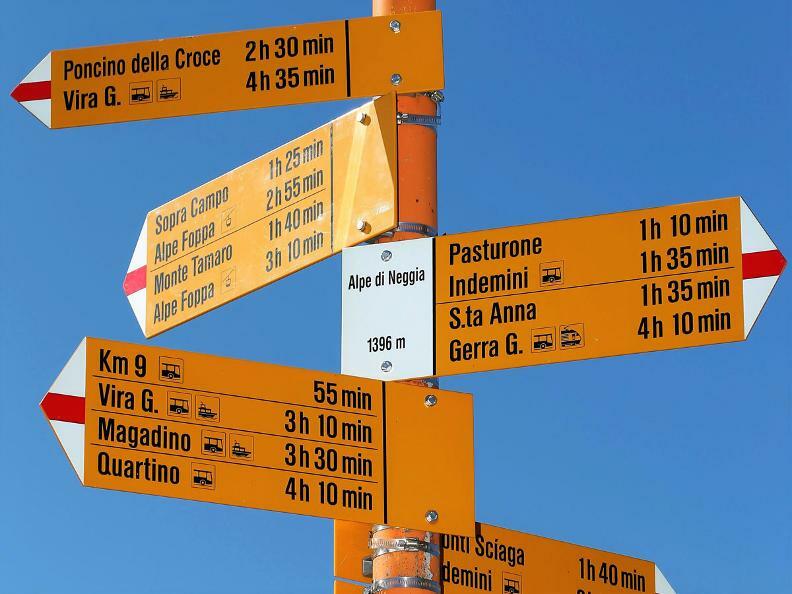 Past the large cross, the path continues upwards along the windswept crest separating the Valle di Vira from the Valle di Trodo, offering memorable views of these wild and impressive valleys. 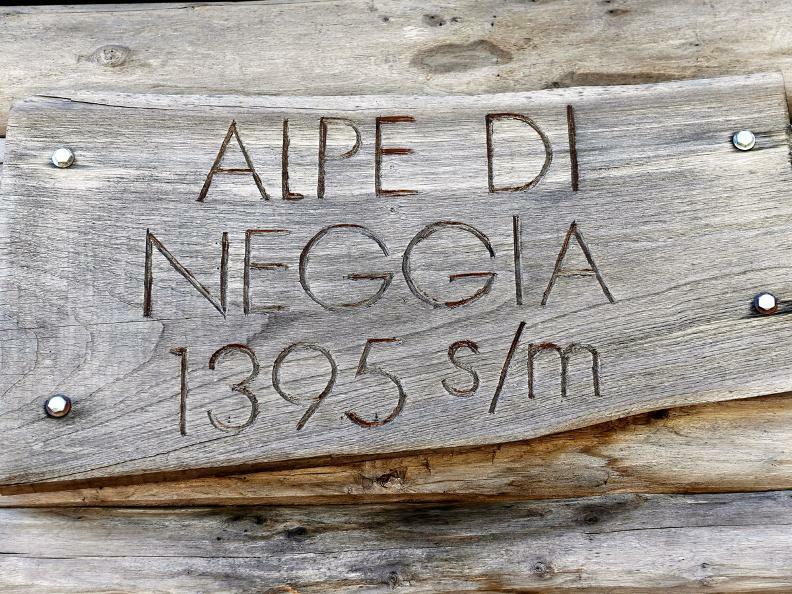 The walk then passes two modest peaks, Uomo del Sasso (1,522m) and Cimetto (1,615m), reaches Poncione del Macello (1,719m) and continues on towards the Alpe di Neggia. You can return to Vira on the route 62.326 autopostale from Magadino to Indemini.